And to celebrate, the Royals on the Kings Isle have sent us a basket of free game codes to give away to Pirate Fans the world over! Unlike regular Dueling Diego codes, these won’t expire in 24 hours (in fact I’ve set them to not expire for a full year). Each of these codes will redeem on the same loot table exactly as if you’ve won the top tier of rewards (Tier 7). If you’re lucky that could mean something as rare as five companion training tomes or a cool Marleybone housing item like a Statue of St. Hubert. Who knows what treasures the royals on the Isle of Kings have hidden for you to discover in the new Dueling Diego! Try it out and see what you can win! And..come back at 7am eastern, and enter our first of 2 contests to win your own free game code! 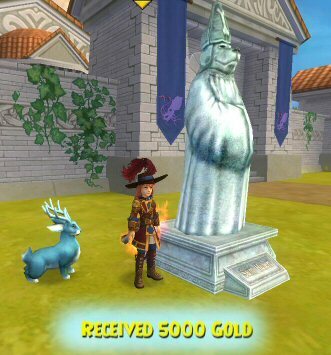 This entry was posted on January 30, 2014, in News and tagged bottle, from, games, Jack, Kid friendly, kid safe, message, news, One-Eyed, online, Pirate101, Pirates. Bookmark the permalink.